Dino is an Italian rock bass virtuoso, session player and educator who has performed with Steve Vai, Paul Gilbert, Slash, Zack Wilde, Yngwie Malmsteen, and many others. He has just released his debut solo CD. Dino studied classical music from a young age, and at 18 he began to play electric bass in local bands. His unique style, combining 8-finger tapping and funk slap, earned him the role of 'lead bassist' in Maurizio Solieri’s band, with whom he toured for one year. As a session bassist, Dino worked with many bands including Alzheimer, Nowhere, Disaster Area and Lisa's Revenge (with Ted Nugent guitarist Lee Wilkerson). He also began teaching bass at the Lizard College of Music in Italy. In 2000 he toured Europe with the Jesus Christ Superstar orchestra, performing the world famous musical in all the major cities including Paris, London, Rome and Barcelona. In 2002 Dino joined the GD Trio with long-time friend Jack Speciale on drums and European virtuoso GD on guitar and synth. The same year, Dino collaborated with various artists including Berklee instructor Scott Tarillo, Mary Healey (Walt Disney voice artist) and performed at the “Gibson Platinum Night” with Slash and Zack Wylde. In 2003 Dino recorded “Special Friend Compilation” with Jack Speciale and toured in Scandinavia. In 2005 his first instructional DVD was released in Japan, produced by CPS; international clinics followed. In 2008, he signed the Gibson Wall of Fame. In 2009 he toured Italy with Steve Vai and Paul Gilbert. In the year 2010 release his first solo album rock-fusion solo album, “It’s Important” featuring guest stars Prashant Aswani, Jennifer Batten, Neil Zaza, and Dave Martone. In the same year release the bass book method for beginner. In the year 2011 release “Tap me up”, a bass book method for tapping technique. In the year 2012 played in metal christmas compilation “A season to rock”. 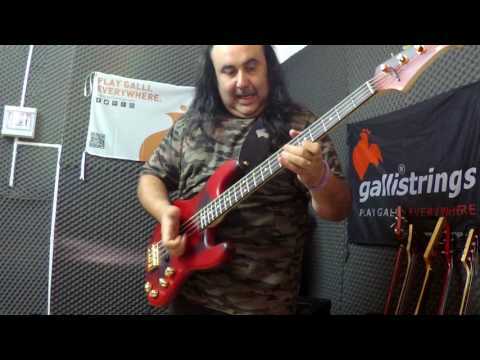 In the year 2015 joined with Edu Falschi (Angra singer) for “25 Anniversary tour” and in the same year release a new bass book method for acoustic bass “Manuale di basso di percussivo”. 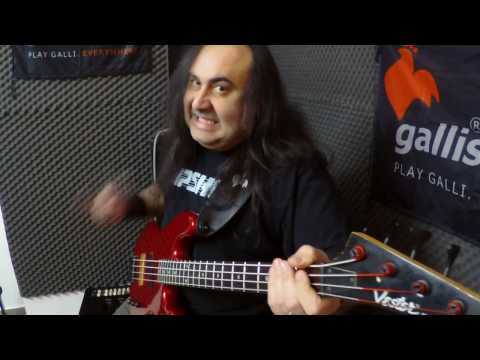 Actually he works as session man in many project and now he is the bass player for “Vivaldi metal project”, the Classic legendary masterpiece by Antonio Vivaldi “The Four Seasons” will be rearranged in a Metal version and will be performed by top class musicians from all the world. 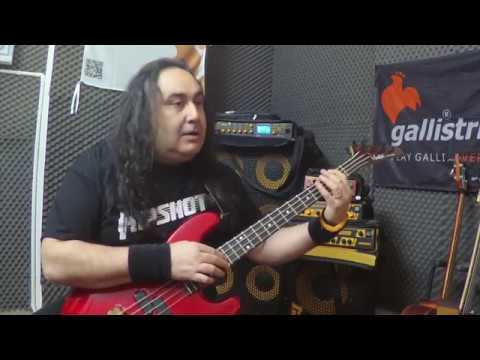 In addition to being an active session player, Dino produces instructional content for the American websites Truefire.com and Basslessons.com, as well as for various Italian academies. 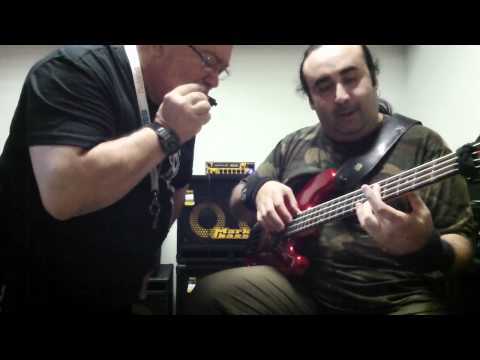 He writes for Italy’s Chitarre magazine and it is working on a new method book for electric bass. Dino has performed with many artists including Steve Vai, Paul Gilbert, Jennifer Batten, Prashant Aswani, Slash, Zack Wilde, Yngwie Malmsteen, Billy Sheehan, Andy Timmons, Gaetano Nicolosi, Simon Phillips, Mistheria, Neil Zaza, John West, Rob Rock, Mark Boals, Lance King, Titta Tani, Roger Staffelbach, George Bellas, Emir Hot, John Macaluso, Mary Halley, Ronnie Keel, Lee Wilkerson, Edu Falaschi, Massimiliano Cona, Dave Martone, Prestoon Reed, Antonio Ferlito, Bicio, Alessandro Benvenuti, Gianni De Chellis, GD, Jack Speciale, Andrea Morucci, Marco Sfogli, Alex Argento, Maurizio Solieri. 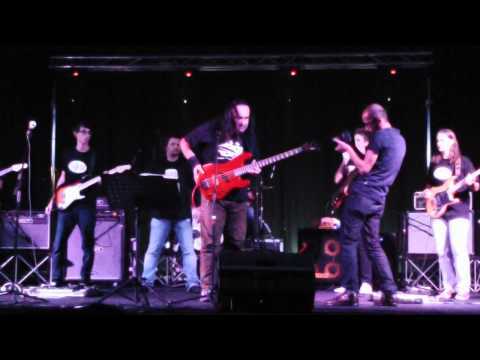 Vivaldi Metal Project - The Four Seasons - first date in Italy! Oct. 28, 2018, 9:03 a.m.
Dino Fiorenza plays for Vivaldi Metal Project event. Sept. 4, 2018, 3:03 p.m.
Dino Fiorenza on tour with Bumblefoot. Sept. 19, 2017, 10:25 a.m.
Markbass artist Dino Fiorenza is going to join Ron “Bumblefoot" Thal on tour in Romania. 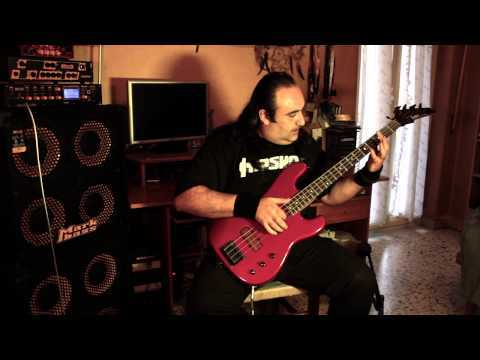 The Markbass artist of this week is Dino Fiorenza! Aug. 28, 2017, 2:31 p.m.
Dino is an Italian rock bass virtuoso, session player and educator who has performed with Steve Vai, Paul Gilbert, Slash, Zack Wilde, Yngwie Malmsteen, and many others. The legendary singer Mark Boals is about to start Trilogy tour in Italy on december 2016, band line-up feat. Markbass artist Dino Fiorenza on bass, Titta Tani on drums, Mysteria on keyboards and Leonardo Porcheddu on guitar. Markbass and DV Mark are gonna be at the upcoming Music China 2016 in Shanghai on Oct. 26th to 29th. 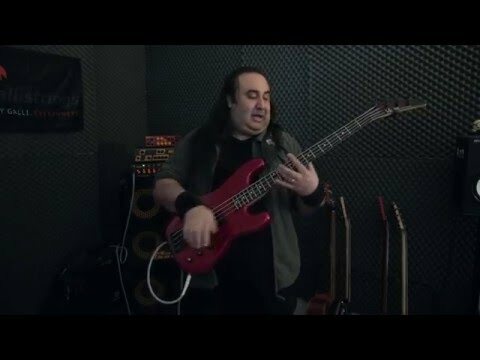 A great new instructional book/CD in Italian for learning shred technique on the bass guitar! An ALL-METAL-STARS amazing project which will blow you away! September 2015, Italian bass shredder and Markbass Artist Dino Fiorenza will embark on a clinic tour in China & Hong Kong. Edu Falaschi is to be back to Italy in June 2015 to celebrate his 25th career anniversary together with Italian fans, band line-up feat Markbass artist Dino Fiorenza on bass, Titta Tani on drums, Mysteria on keyboards and Francesco Corapi on guitar. Weds Jan 21, 2015 Dino Fiorenza will play at 8th annual N.A.M.M. Metal Jam (Neil And Michael's Metal) event, feat 40 of the world's finest Metal Musicians performing classics by Monsters of Metal! 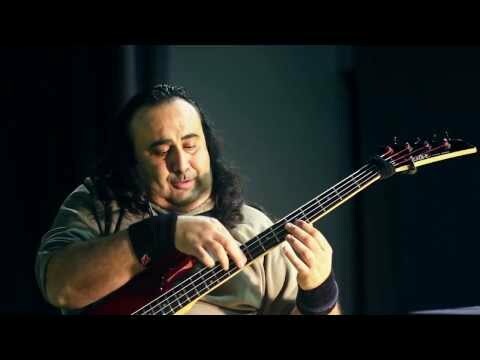 Saturday, Feb 1th 2014 | Markbass artist Dino Fiorenza will have a clinic at Rock Academija in Zagreb, Croatia. In this project Intuition band reworked the Xmas songs with extended intros, solo sections, and interesting arrangements, while trying to maintain a heavy rock style. A great new instructional book/CD in Italian for learning tapping technique on the bass guitar! Markbass artist Dino Fiorenza METAL BASS TAPPING - "ONE STEP"
Dino Fiorenza Bass Clinic at Magazzino Musicale Merula.